Being an introvert is a kind of a struggle often because it is a misunderstood concept. Therefore, those who act, behave, and interact with their surroundings in a calculative manner are likely not being noticed. It is not a new experience for an introvert to hear statements like “Why do you keep silent?”, “Be more interactive”, “Speak more!”, etc., since the world appreciates chatterboxes way more who do their own marketing terrifically well. Most people get confused between shy, introvert, and being socially anxious. If a person is shy does not necessarily mean that he or she is an introvert as well. An introvert person may or may not be shy. Although, an individual could also be a combination of introvert and extrovert, called as Ambivert. A socially anxious person is usually shy and introvert, but not the other way around. Below I have covered features, myths, facts, and struggles of being an introvert that an average person faces. 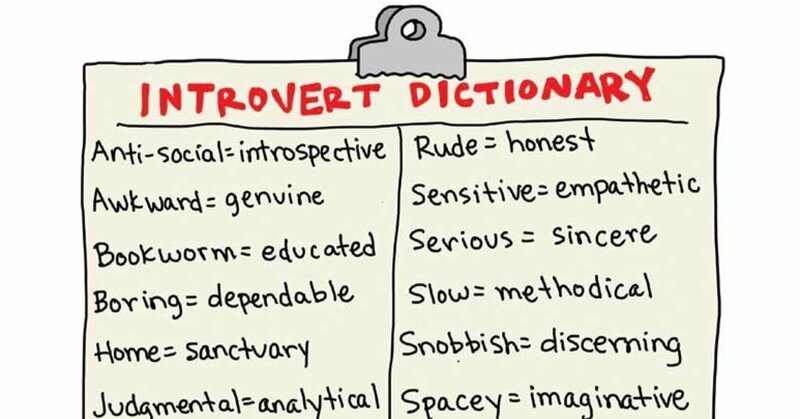 I do not say that ALL introverts would be able to relate to all the points I have mentioned, but I am sure most of them would be able to relate to most of the points. We need breaks and personal space: We definitely need to ‘recharge our batteries’. This may vary depending from person to person. 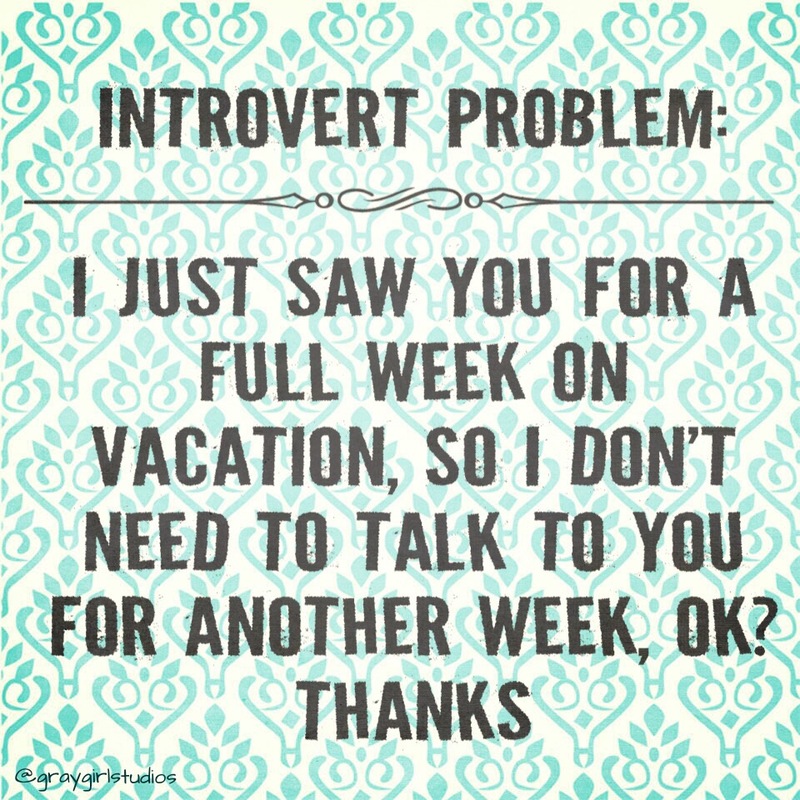 But for sure introverts cannot chat with people 24/7 because they feel drained after socializing enough. 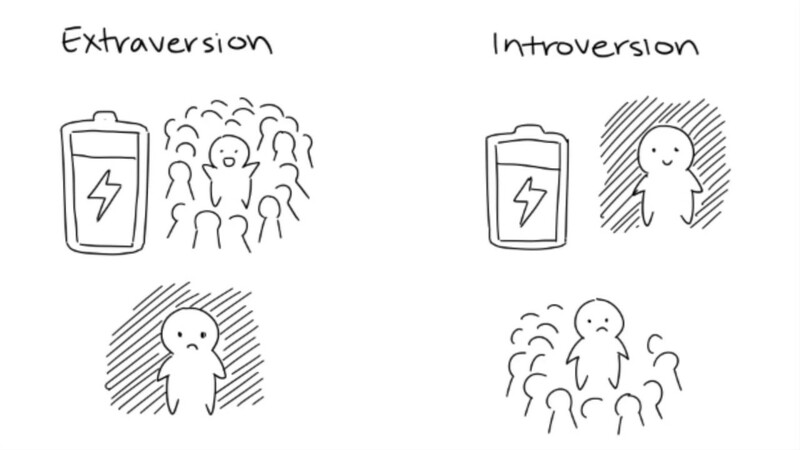 This is the major difference between introverts and extroverts. The extroverts feel recharged by socializing and drained by being alone. On the other hand, introverts feel recharged by being alone and drained if surrounded with people ALL the time. Once get recharged, we would love to hang out with people again! We like to hang out more than one might think: Despite our willingness to turn down the invitations at times, we do not deny all kinds of gatherings. One might feel anxious at times, but that fades away by spending a couple of hours at the event. We may not be the first person to leave the venue, but we are for sure not going to stay till the end. We are selectively social: This is another common myth about introverts as being anti-social. We are NOT anti-social. We like being with other humans, despite our inclination towards being isolated at times. Nevertheless, we never dwell in loneliness. Although, we enjoy it for a few hours or days. Being selectively social implies choosing ‘comfortable’ individuals. We like one-on-one conversation the most: A few years back, even I wasn’t aware of this. I would like to share an incidence on this matter. This happened when I was pursuing my masters degree. One of my classmates was given a challenge by other class fellows to speak to me. Since I would barely speak, they thought this particular girl wouldn’t be able to achieve that. To everyone’s (as well as my own) surprise, I started chatting with her. Everyone was shocked. I then realized that talking isn’t a problem, but the number of people involved in it, and the kind of subject matter. To this day, even if I attend a social event, I would like to chat with someone who is interested in talking about the topics of my personal interest. The type of conversation that is deep and meaningful, or is debatable. I least likely involve in gossips. Although, I do listen to what kind of opinion people hold. We hate small talks: The small talks are no longer than ‘Hello’, and ‘How are you’, and nearly all introverts hate these kinds of conversation. They would rather choose not to speak at all if things like this show up and disinterest them. Hence, despite being in a comfortable social setting, if an introvert is seen not to speak at all, chances are higher that he or she hasn’t found anybody to talk to, and is plainly feeling bored of the superficiality. We make all kinds of friends: The most prevailing myth about introverts is they make friends who are also like them. In fact, most of our friends are extroverts. We do not choose friends based on others introvert or extrovert attitude. But those who simply do not judge us, and accept us as we really are. I do not keep a long list of two hundred friends or so, nevertheless most of my friends have a large social circle. Most introverts can relate to this – all of us want to befriend people but our concern about being judged is too strong. We therefore avoid situations of awkwardness by doing this – by keeping away in the first place! There is a consistent tug-of-war in our heads mainly of – our desire to make lots of friends, as well as avoidance of being embarrassed, or cheated on. Since we feel that friendship is meant for deep connection, diplomatic terms don’t please us, and we are better off by ending up enjoying our own company. We are sensitive and well aware of others’ emotions: When it comes to text-ing someone, or writing an email, I prefer re-reading the whole contents countless times so as to make sure that the other person does not take those statements otherwise. I try my best so that he or she understands my words totally and exactly the way I intended to convey. Introverts are sensitive themselves and consciously are in-tune with others mindsets as well. Most introverts wouldn’t misbehave in person or via electronic media. Likewise, introverted people also make sure that whatever they say isn’t hurtful. This is done by rehearsing a number of times before actually speaking up. They still make mistakes and regret because people are too judgmental and absolutely cannot understand their state. Now don’t get confused by sadistic individuals whose motto is to seek vengeance, and they would go to any extent behind the scenes. This is a completely different story though. Our observant attitude is misunderstood as being ‘judgy’: Most of our acquaintances notice us looking at our surroundings while sitting or standing without any visible expressions. We are too focused on understanding the human behavior. Sometimes we are so caught up in our own thoughts that we do not even notice our environment. This involves the number of folks, their exact identification, what conversation they have at that particular moment, and so on. How we perceive our surroundings depends on our own basic nature and mindset. I notice every single behavior, and facial expression, and understand the reasons behind with my own rational thinking. So, this is by far from ‘judgments’ that most folks make about each other. I am a good advocate of myself as well everything that is surrounding me. Therefore, I do the reasoning part lots of times. We understand each other quite well: An introvert understands another introvert better than anyone else. So, if somebody hesitates making facial expressions in front of me, I would assume that that particular individual is just trying to become familiar of his or her surroundings, and nothing else, just like I do. That individual wouldn’t judge me either. The world then becomes a happy place to live in! Issues like Social Anxiety Disorder could be rectified because these are mental conditions. But being an introvert cannot be rectified because it is not a problem but a general trait. Lots of introverts would be socializing, pretending what they are not, but at the end, would likely return back to their shells. This characteristic will remain with them throughout their life. Hence, all the introverts simply want people to accept the way they are since that is not even a weak point. Pls share this kind of knowledge and how to overcome from this…..
Next story What is self-love? What are the advantages of self-worth?